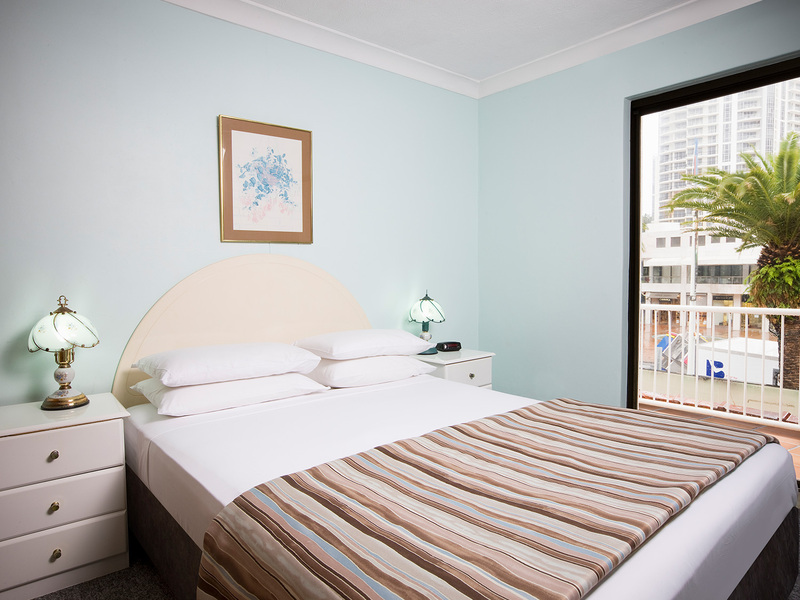 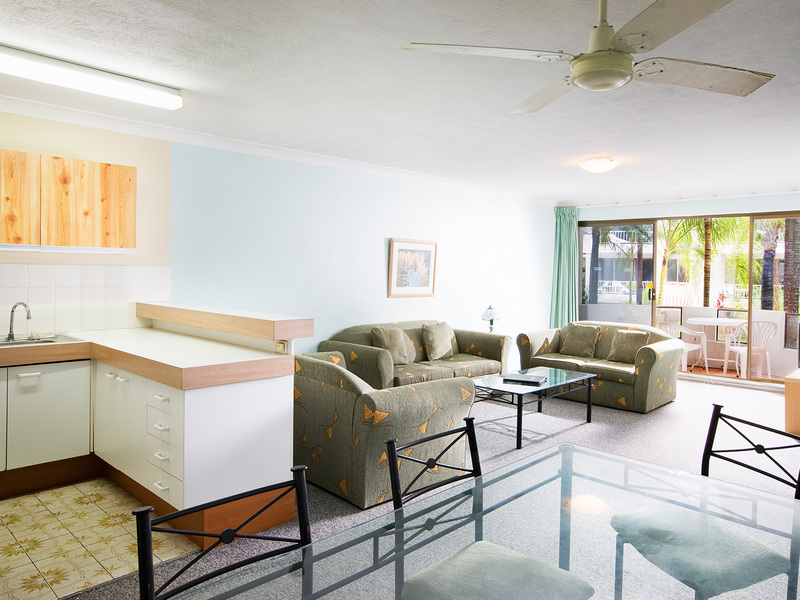 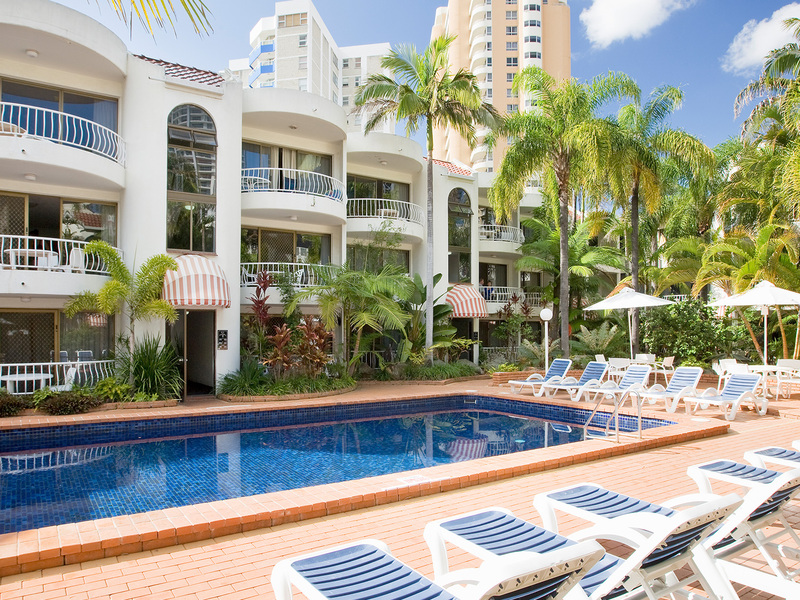 Located in the midst of Surfers Paradise’s bustling nightclub scene and retail precinct, St Tropez Resort offers the ideal accommodation solution for holiday-makers to the Gold Coast seeking fun, adventure and a great party. 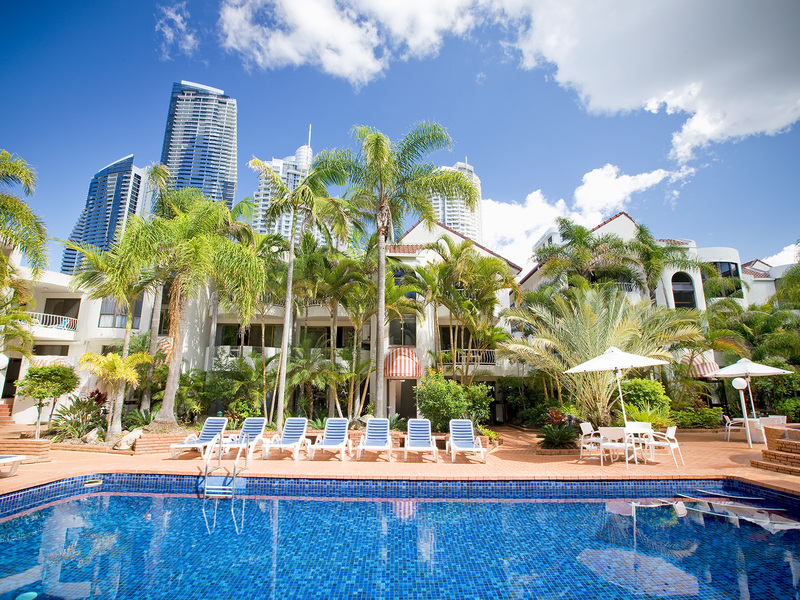 St Tropez is on Orchid Avenue, famous for its nightclubs and shopping, providing guests with easy access to the Gold Coast’s CBD and nightlife. 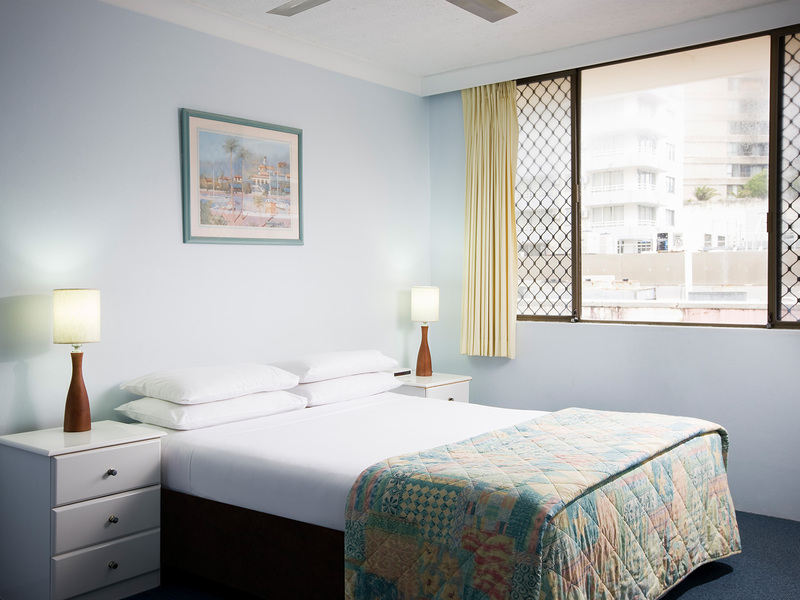 Surfers Paradise Beach is an easy two minute walk away and there is easy access to public transport and major attractions including theme parks. 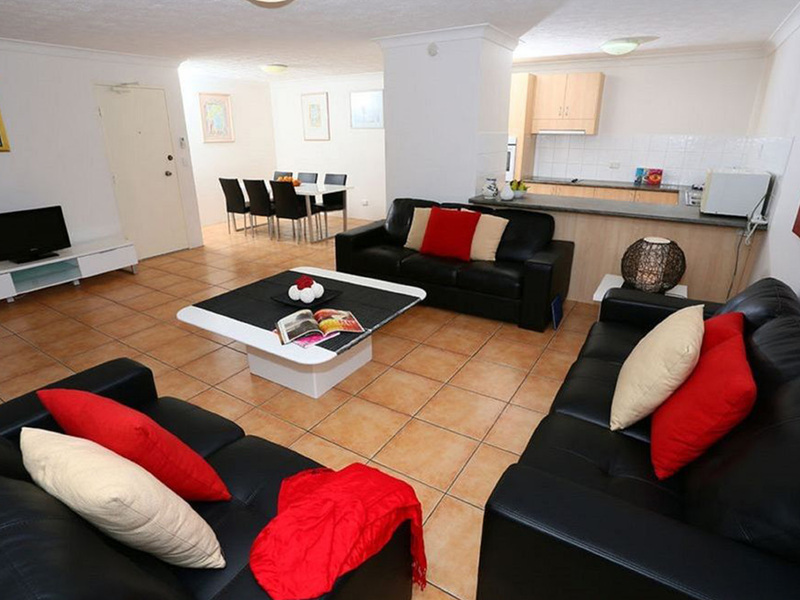 With a Mediterranean-influenced design, St Tropez offers a range of one and two bedroom self-contained apartments to choose from. 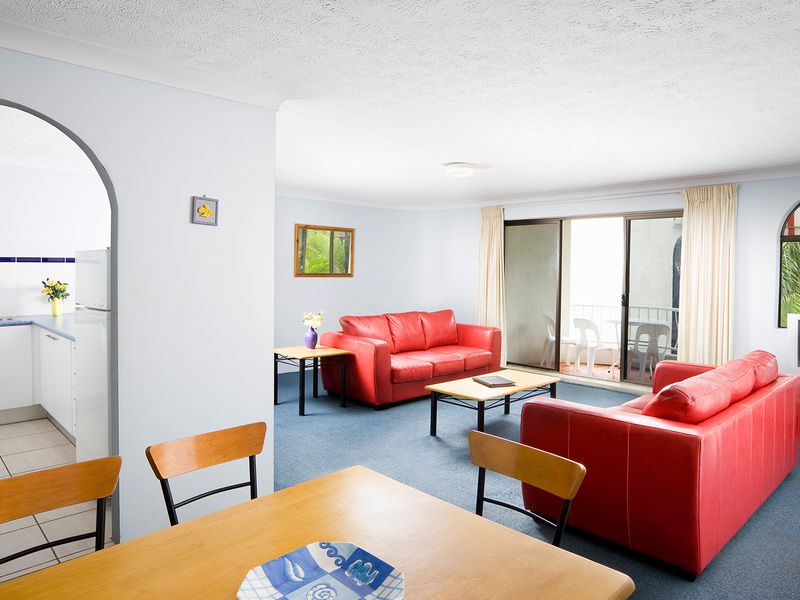 All apartments include an outdoor balcony or private courtyard, fully-equipped kitchens and laundry facilities. 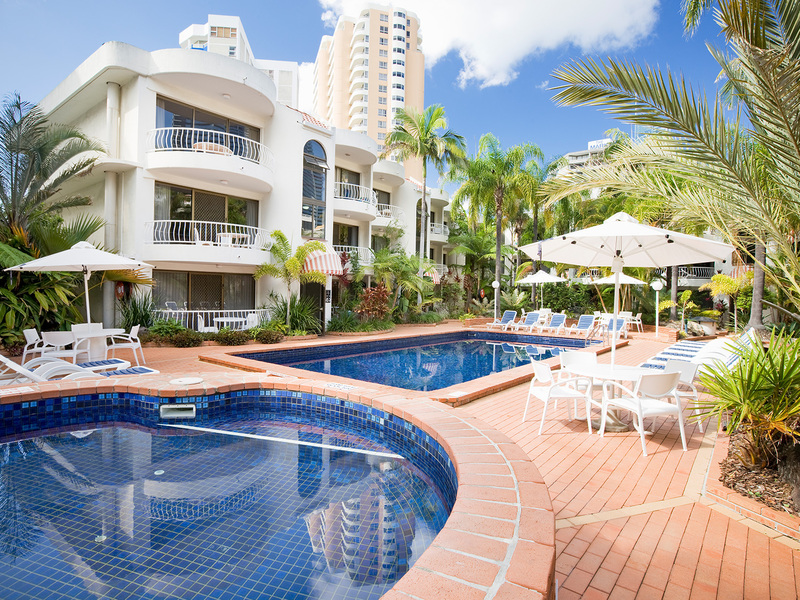 For lazy days relaxing in the sun, there’s also an outdoor swimming pool and spa to loll around in.